This rock was gathered just a few miles from home. It's known locally, along with other rock found in the spillings of coal mines, as "Brookwood Stone." 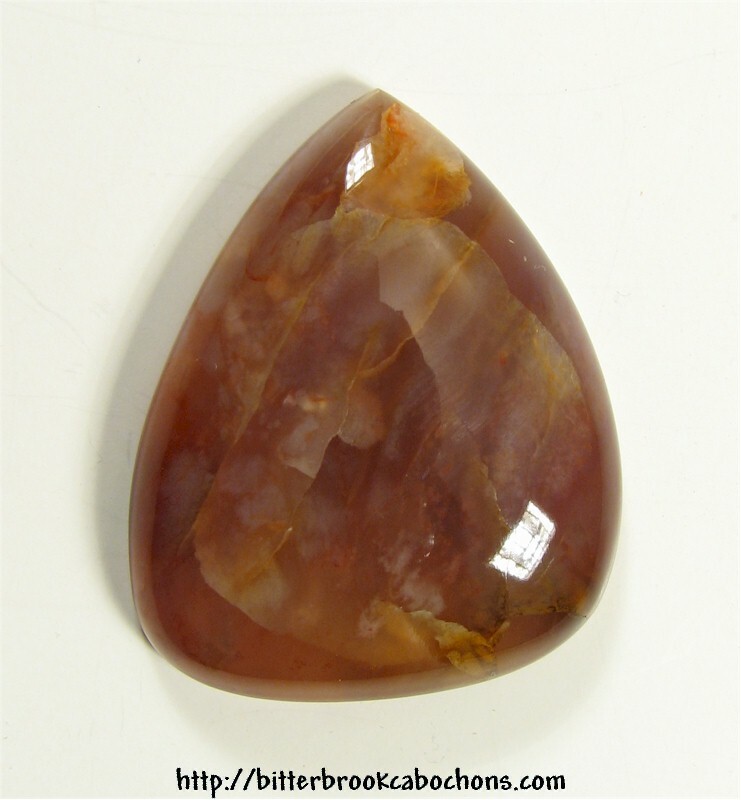 This cabochon looked as though it had been cracked with a hammer eons ago and healed over the ages. Very stable; fractures more prominent than in the photo. Back is not polished. Dimensions: Round girdle; 33mm x 26.5mm x 8mm. Weight: 50.30 carats. You are visitor number 36 to this page this year.